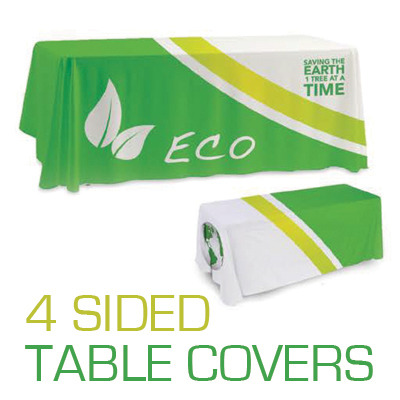 Table Covers Dye Sublimation Printed in Full Color 4 Sides on Premium 9oz Polyesther Farbic. 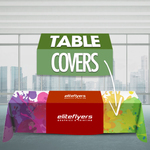 Table Covers 4 Sided: Stand out from the crowd at your next trade show, fair, or event with our 4 Sided Table Covers. 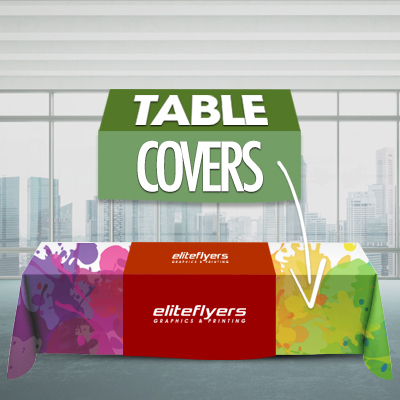 Printed in full, vivid color on 4 sides of premium 9oz polyester fabric, your table cover will transform your table into an eye-catching advertisement. Our 4 Sided Table Covers are available for 6ft or 8ft tables and in quantities of 1, 3, and 5. For added convenience, table covers are machine washable.